International Women’s Day is approaching — an occasion dedicated to the global celebration of females, to recognising the value they bring and the struggles they have faced in paving the way for others who follow. 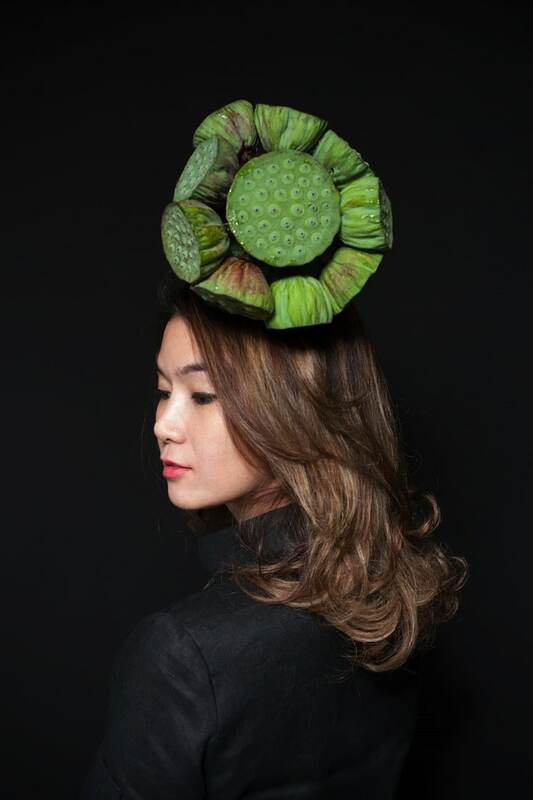 In light of the occasion, Bangkok sees the return of Women in Gastronomy (WIG) by Gastronauts Asia. 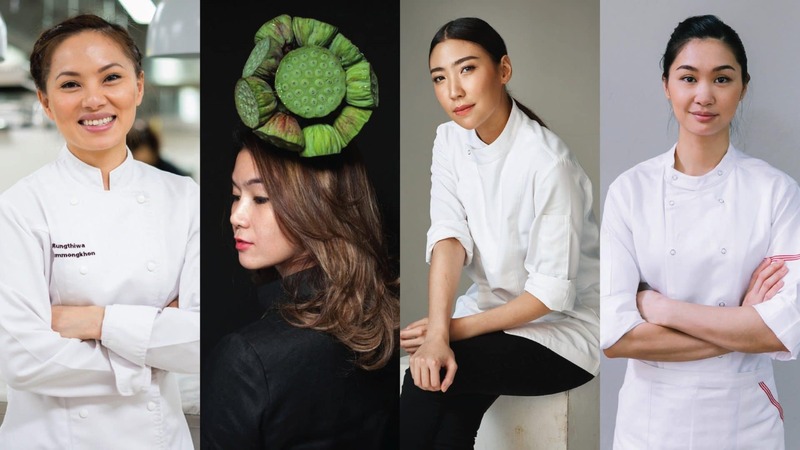 Held at the Banyan Tree Bangkok, WIG2019 is a global culinary forum that showcases acclaimed female food personalities from Thailand and beyond, promoting and empowering women in food, beverage and hospitality. The full-day affair encompasses presentations and panel discussions, along with a special multi-chef ‘Bangkok Street Food Lunch’. This year’s schedule brings with it a new addition, ‘Women in Wine’, where some of the best wine producers in Italy come together for wine tastings and more. As for which female chefs to look forward to in the event, we’ve put together a list of who’s participating so you can get to know them better. 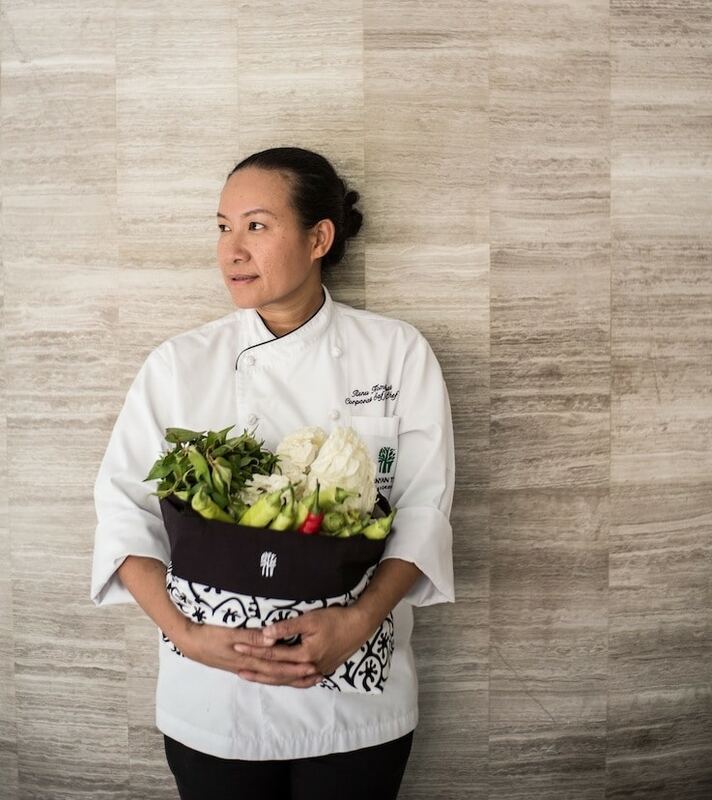 The first-ever winner of Top Chef Thailand, chef Tam is known for her creative approach to cuisine, and a knack for remaining calm even when under pressure. As a young female chef, she admits that it can be tough to make it as a woman in her field, but the challenge motivates her to strive to succeed in the male-dominated industry. Chef Pam sits as the youngest and only female member on the judging panel for Thailand’s edition of Top Chef, a TV show where chefs compete against each other in various culinary challenges. 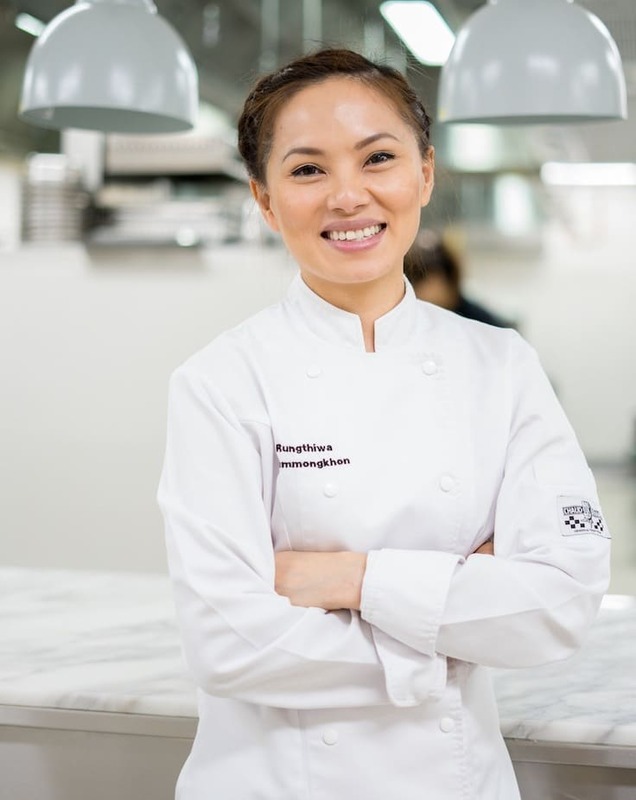 Having picked up a degree from The Culinary Institute of America, she has worked in some of the world’s top establishments — from working directly under Jean-Georges Vongerichten at his three Michelin-starred restaurant in New York, to Bangkok’s Grand Hyatt Erawan and Le Beaulieu. 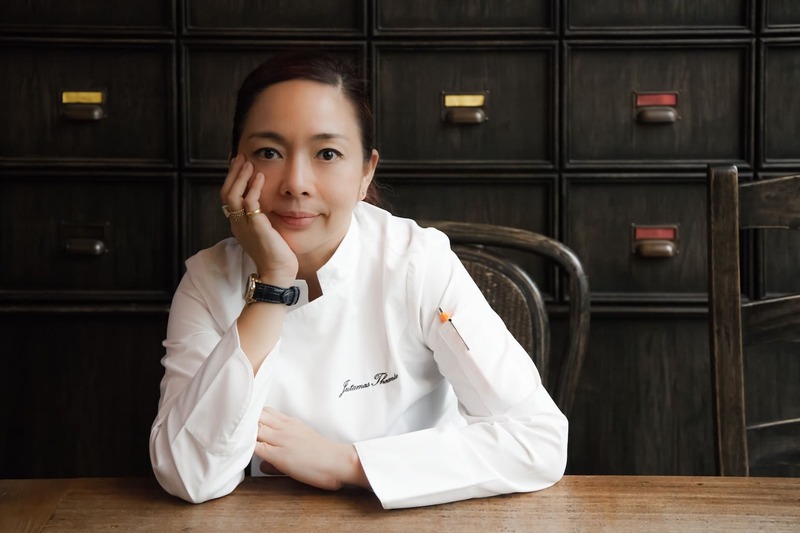 Today, she owns ‘The Table by Chef Pam, one of Bangkok’s most sought-after chef’s table venues with month-long waiting lines. Chef Nooror is the executive head chef and founder of the Blue Elephant group, which today exists as a global culinary empire which encompasses a dozen of Blue Elephant restaurants worldwide, along with cooking schools and catering services. 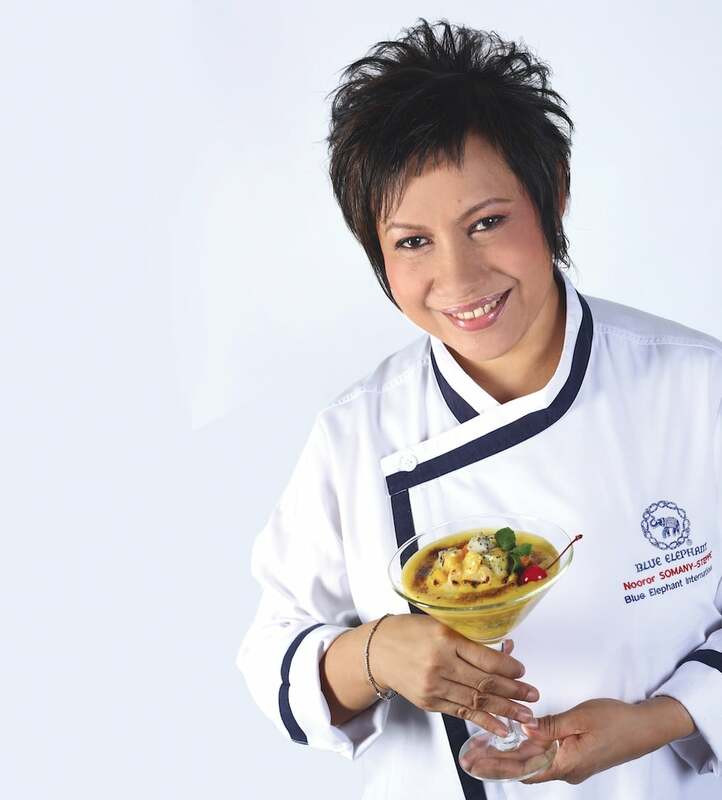 She originally studied advanced culinary arts at Madame Jacob Institute in Belgium, and today oversees Blue Elephant Group, including the flagship Bangkok branch. As a child, Saki grew up helping in her family kitchens back in Japan. Though her interests were piqued from the early days at home, it wasn’t until she moved to Toronto, Canada that her culinary education and professional career truly began to kick off. Since then, she has become an incredibly skilled pastry chef, known for creating art-like desserts that maintain local roots while elevating them with exquisite presentation and unique textures. You can find her whipping up incredible desserts at Charoenkrung’s forward-thinking 80/20 restaurant. Front Room’s chef de cuisine, chef Fae, has spent the last twelve years of her culinary career in Denmark. Her culinary journey is one littered with Michelin-stars. During her training, she’s worked under Michelin Chef Wassim Hallal at Frederikshøj, before later graduating from three Michelin-starred establishment La Belle Époque in Germany. Her experience in Europe also includes several other notable Michelin-starred restaurants, including Kokkedal Slot Copenhagen. Despite that, she is a Chiang Mai native by heart, and her passion, experience and home are reflected through her cuisine — a delicious blend of traditional Thai recipes and Nordic cooking techniques, all of which result in creations both distinctly palatable yet very comforting. The Thai chef de cuisine at Banyan Tree Bangkok, chef Thip was assigned last year to the Saffron Corporate Culinary taskforce. 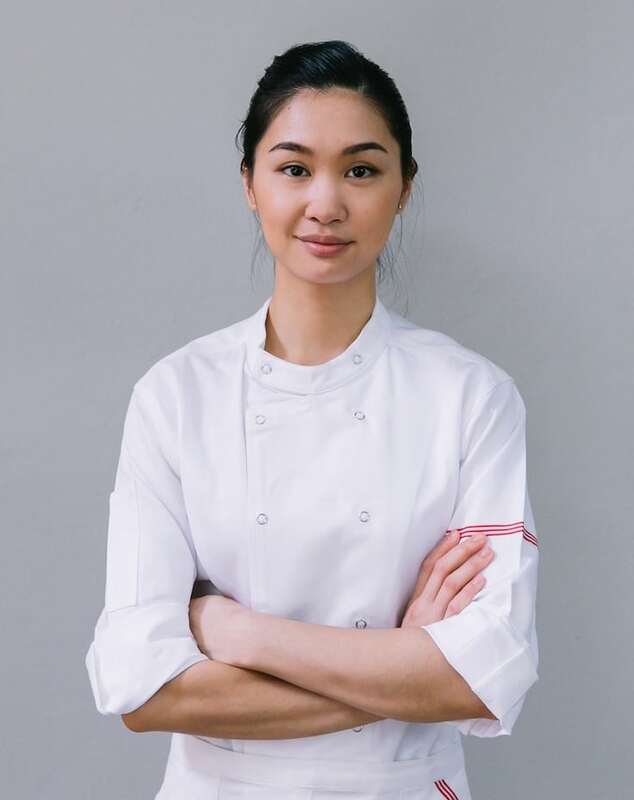 Now the right-hand to Saffron’s corporate master chef, she supports training, menu development and Thai food promotion across all of Saffron’s restaurants worldwide. Chef Renu learned to cook in her mother’s small family restaurant — it was there that she discovered not only the basis of her culinary skills, but also her passion for cooking. 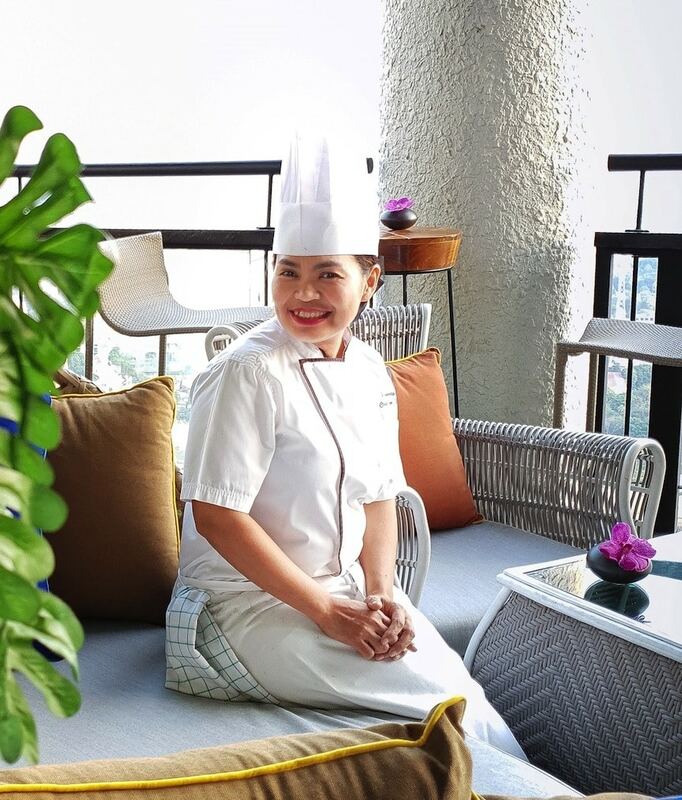 Now the corporate Thai chef at Banyan Tree Bangkok’s Saffron, she is the brains behind some of the most iconic culinary creations at Saffron Thai Restaurant worldwide. Formerly a choreographer, today chef Naree is a passionate advocate of authentic Thai cuisine. Currently chef of the hip, multi-functional creative space Yelo House, chef Naree highlights the rarest, top-quality ingredients. Constantly in search of lost recipes from cooking manuscripts, her style and approach to cooking is unique, flavourful, and expresses the rich layers of Thai art, history and culture. 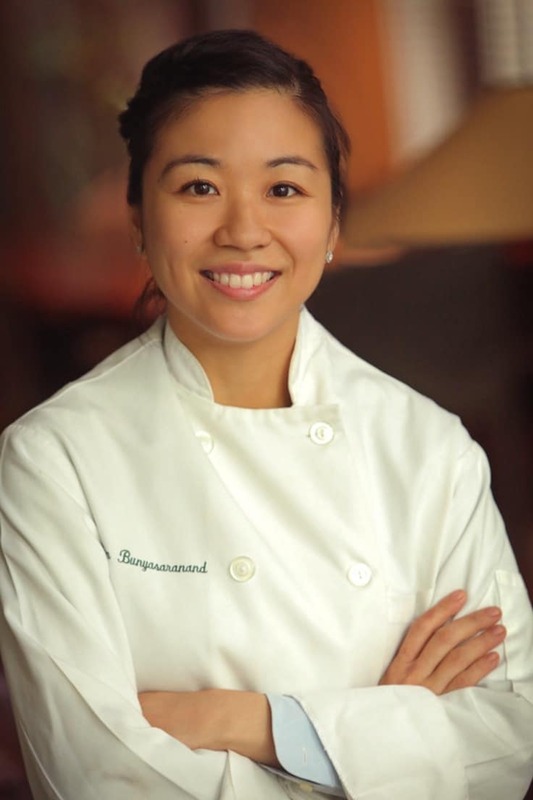 According to chef Som, her philosophy — “the happiness of cooking for your loved ones” — drives her creativity and attention to detail when approaching the culinary arts. She currently sits as executive chef and co-owner of Karmakamet Diner and Karmakamet Conveyance. Though her background was initially in fine arts, she channels this into her exquisite creations in the kitchen through her passion for cooking. 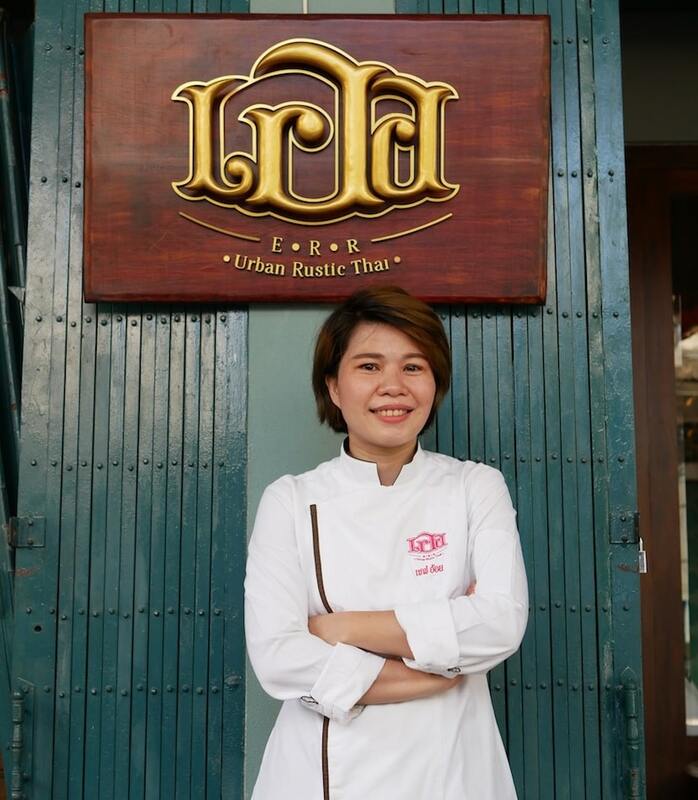 Chef Nan has consistently been a hot-topic chef in Bangkok. 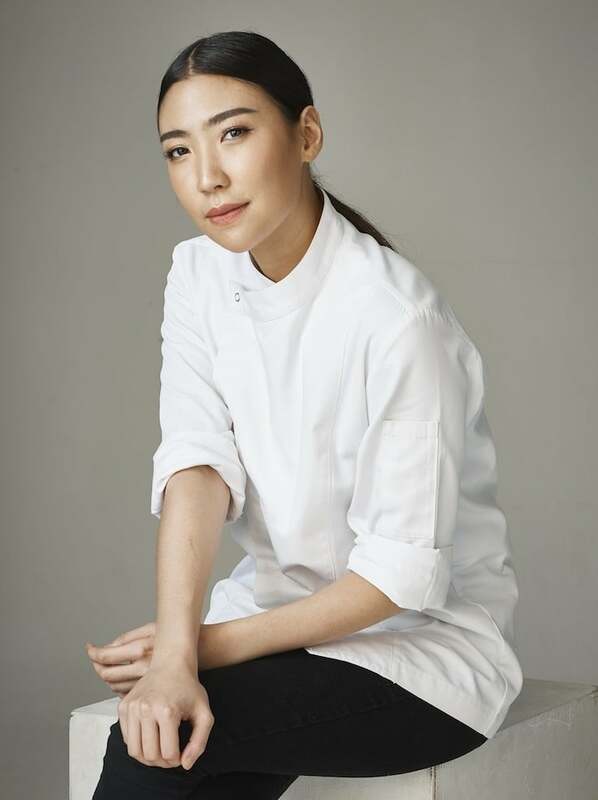 Having studied at the highly-acclaimed Culinary Institute of America in New York, she’s trained under the likes of Thomas Keller from three Michelin-starred French Laundry and Per Se, as well as Jean-Georges Vongerichten at his eponymous Michelin-starred restaurant. 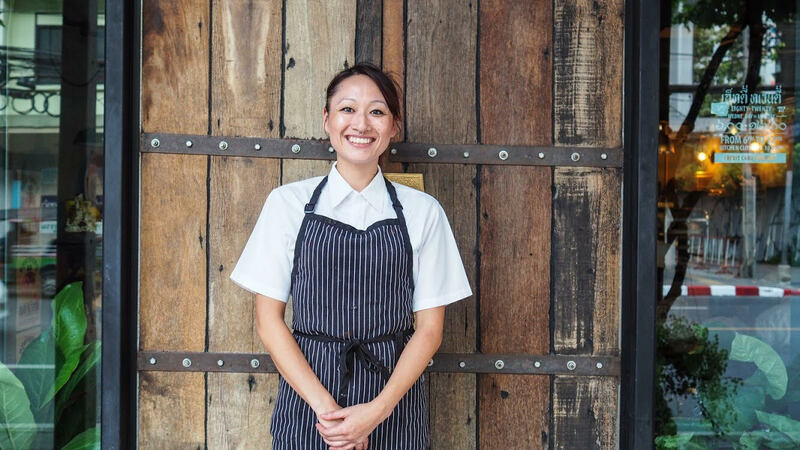 Upon her return to Thailand, she is known for spearheading the culinary team at Thonglor’s contemporary restaurant Little Beast. Bangkok native chef Aoi has been with various local eateries, before she joined the kitchen at Bo.lan under the mentorship of chef Bo. While at Bo.lan, she stood out from the rest with her passion and flair for leadership, which led her to progress to where she is now — cooking at the helm of Err kitchen. Her influence on Err is clearly visible, reflecting her determined quest for quality and fun attitude — all the while maintaining her core principles of organic and sustainable dining. Italian-born, Cristina Bowerman originally studied law. However, after her travels in America exposed her to a variety of different cuisines and inspired her to take the path of a chef. In 2010 her restaurant, Glass hostaria in Rome, won a Michelin star, and her awards have continued to increase since. In 2018 she was also selected as Ambassador of Association of Telefono Rosa. 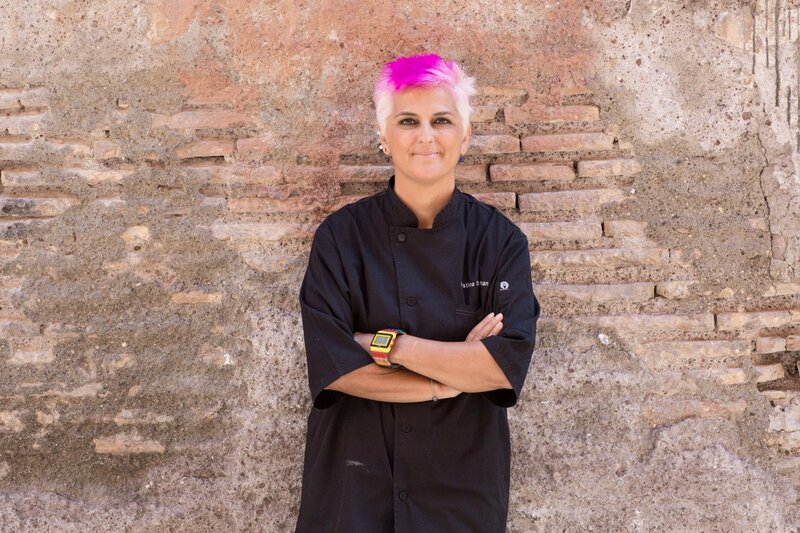 As Women in Gastronomy 2019 also celebrates the 150th anniversary of diplomatic relations between Italy and Thailand, chef Cristina Bowerman will headline the affair as one of Italy’s most celebrated chefs. On March 8 and 9, guests at the WIG 2019 can experience the incredibly special ‘Thailand meets Italy’ 4-hand dinners between Cristina Bowerman herself, and the first winner of Top Chef Thailand chef Chudaree “Tam” Debhakam. The first-ever collaboration between the two chefs, the dinners promise an exclusive tasting menu that revolves around seasonal, local Thai ingredients — paired, of course, with top Italian wines at Vertigo rooftop restaurant. The ‘Full Day Experience’ (conference, lunch, wine master class and tasting) comes at THB3,200 per person. The Conference and Lunch comes at THB1,900 per person while the Wine Master Class & Tasting comes at THB1,600 per person. WIG2019 takes place on March 8. To find out more, visit womeningastronomy.asia or the official Facebook event page.